For quite some time, I have been planning for a quick getaway to give a break to the monotony that my awareness has refused to accept, any further. It had been a call from within, which I hardly could have ignored. Staying in the National Capital, New Delhi and being accessible to so many places just in hours, it did not take me much time to pinpoint the next destination to set out for. And, this time it was Mussoorie. I know this place, have heard a lot about it, and watched the pics of the tours that my friends have been to. Hence, within no time I packed my bag and got ready to explore this place, solo. The nearest railhead is Dehradun, which is 35 kilometers away from Mussoorie. 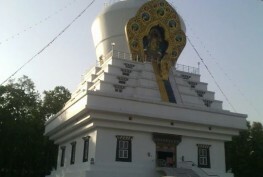 Located roughly 300 kilometers away from Delhi, Dehradun is easily reachable both by bus and by train. It was Friday, the last working day of the week; so, I decide to make full use of the evening and booked a train ticket then and there. Luckily, I got booking in Nanda Devi Express, the last train to Dehradun that starts at 23:50 Hours from New Delhi. This is the quickest train that reaches you to Dehradun in just 5:50 hours. The other fastest being Dehradun Shatabdi Express; however, that one moves in the morning at 6:45 Hours. I reached Dehradun before 6:00 AM in the morning, which is a good thing as I could freshen up and took the close to 1-hour bus ride to Mussoorie early. First thing was to book a hotel and I found a good one near the bus stop itself. It was clear weather and a perfect Saturday morning. Mussoorie was sparkling under the bright sun and the atmosphere was shooting. 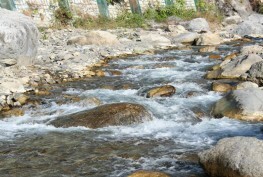 Mussoorie is famous as a hill station, is also known as the ‘Queen of the Hills’. I had a list of places to visit as suggested by my friends and as gathered from the Internet. I had picked few of them, as I know that if I would go for all of them; it would become a bit hectic. 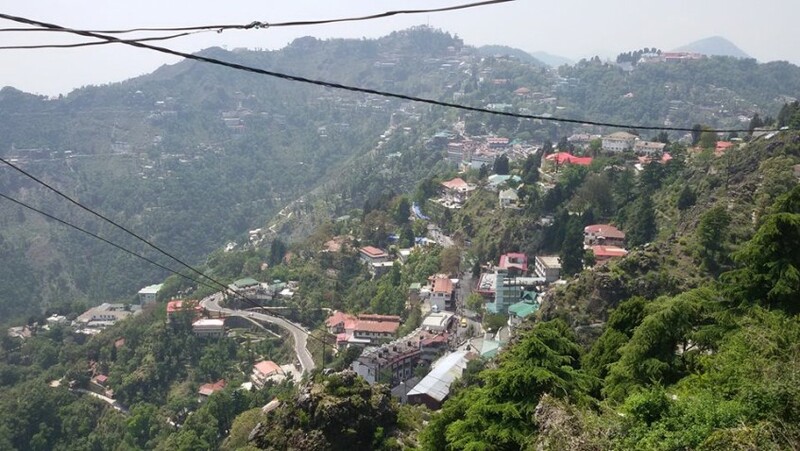 As I reached Mussoorie, the cool breeze welcomed me, taking all my tiredness and fatigue away in a moment. 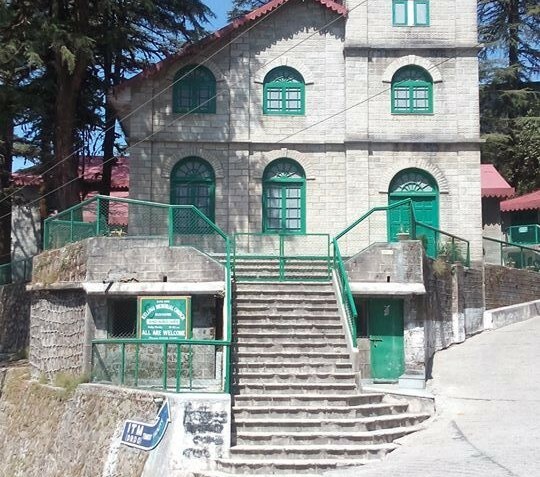 I skipped to make it to the highest point Lal Tibba, rather, I went for the Gun Hill View Point, which is regarded the second highest peak in Mussoorie. 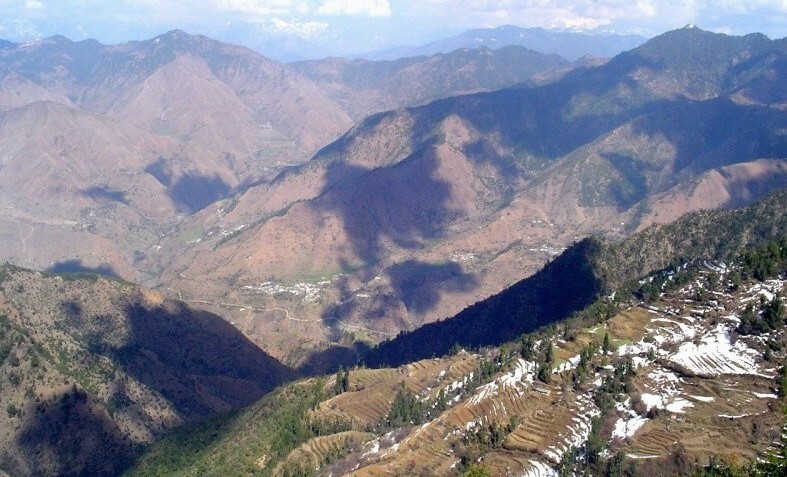 It is a place of historic importance and a place from where you can get the perfect glance of the entire city as well as the Himalayas, if the weather is with you. 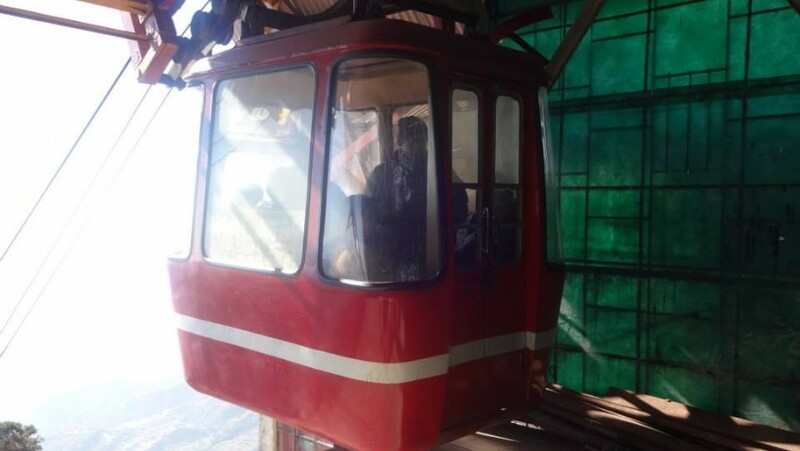 I took the ropeway cable car, which costs Rs. 75 for one passenger for the journey. If you are an avid tracker, you can climb up to the top following the street path as well. The ambience at the top of Gun Hill was no less than a minicarnival. The place is a bit crowded with too many kids’ rides, magic shops, photo studios, archery, and shooting stalls, and food stalls. Must say; this is a perfect place for the honeymooners, who want to have their photos taken in Garhwali costumes. I too, went on to sharpen my shooting and archery skills with one of the shops. It was almost mid of the day and after having a heart full of lunch in a Punjabi Dhaba at Gun Hill, I moved on to my next target, i.e. Jawahar Aquarium. This is not too away from the cable car station and takes few minutes’ walk. The aquarium is open from 9 AM in the morning to 9 PM in the evening and costs just Rs. 10 per visitor as the entry fee. This is a collection of eight modest but well-presented tanks that showcase some of the most magnificent tropical fish, tiny sharks, red piranha, and other aquatic animals. It consumed a good amount of my time and in deed gave me a great insight about the aquatic life in a mountainous place like Mussoorie.